I once managed a global team. About 80% of the management problems I faced were down to misunderstandings between colleagues, and about 90% of those caused by the written word. Rarely was it bad grammar and punctuation that led to hostility between staffers – much more often emails were grammatically correct but worded in a way that native British English speakers found impolite. One day, one of my London staff flat refused to talk to an overseas colleague until she apologized for being rude to her. The overseas staffer had simply no idea that she came across that way. It’s darkly comic that English has become the world’s lingua franca. Not only is the tongue deeply illogical, the English obsession with politeness is so embedded in the language that even using it correctly can lead to alienation. 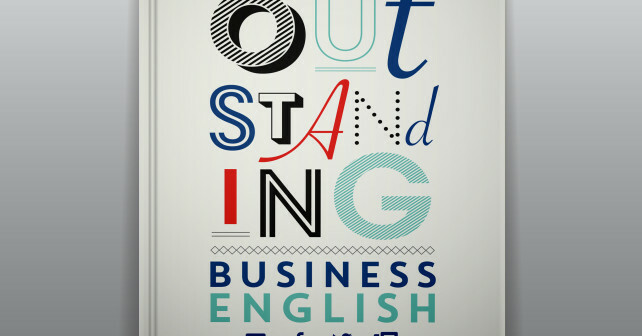 “Native English writers and speakers can be supremely irritated by one-word or one-line messages that some non-native writers see as supremely efficient,” writes the author Fiona Talbot in Outstanding Business English. Oh how true! She warns that even addressing a recipient simply by name (Rebecca) without an accompanying salutation (Hi Rebecca) is risky. It is. English speakers are easily offended by their own language. Talbot, an Englishwoman, clearly loves her mother tongue while being acutely aware – perhaps, endearingly, slightly proud – of its idiosyncrasies. She elegantly intertwines the fundamentals of English grammar with the complex etiquette that surrounds the language, creating an enjoyable book that entertains as much as it informs. For all its problems, English is an extremely rich language, commanding a much larger lexicon than many of its peers. Yet because of this non-natives that are keen to impress can walk into trouble. Stick to plain, polite English, Talbot advises, avoid obscure words and clichés, and you won’t go far wrong. In fact, you might end up writing better English than the natives. Just make sure you remember Talbot’s simple rules – much of the language’s spirit and good intentions are lost in translation.